Well, the big day has finally arrived. 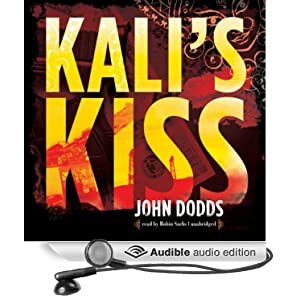 The second novel in my Kendrick Chronicles series, Kali’s Kiss, is out now as an audio exclusive. You won’t find it in print or e-book format yet, though. But the lovely people at Audible.com are offering the download version free with a trial subscription. Of course, you can also buy it as a cased CD set, or on MP3 disc. And if any of you do pick up a copy, reviews, comments and feedback would be appreciated. I try to respond to everyone personally.